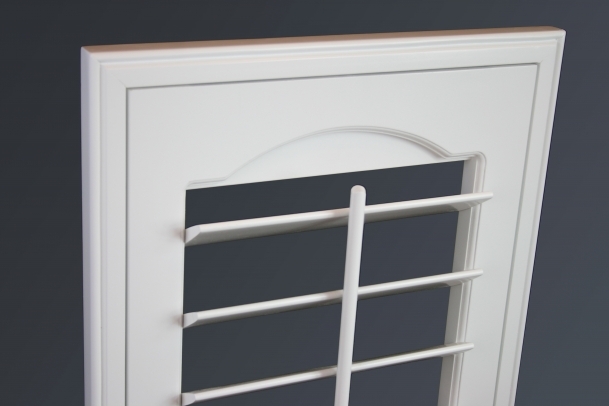 Enjoy everything Golden West stands for in shutters – the warmth of premium basswood, durable spiral dowel construction, beautiful finishes and distinct designs-all can be found in our luxurious seamless Designer Series Collection. 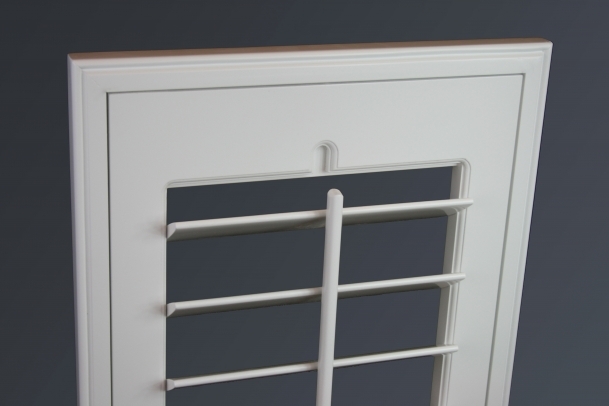 Defined by their classic elegance and timeless appeal, the Designer series shutter will complement any home and décor. 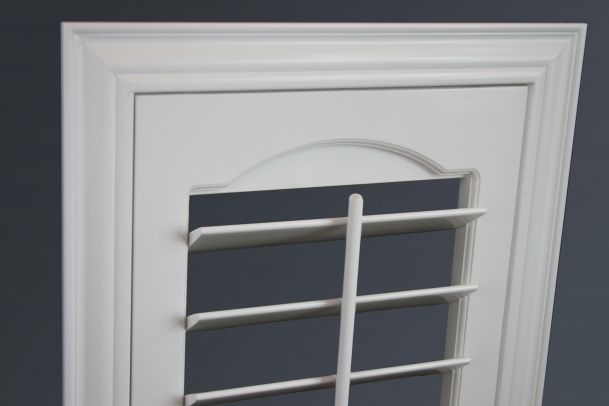 Grown in the select forests of North America, basswood has consistently been the choice for shutters. Its consistent color, low sap content and tight grain structure are some of its desirable traits. 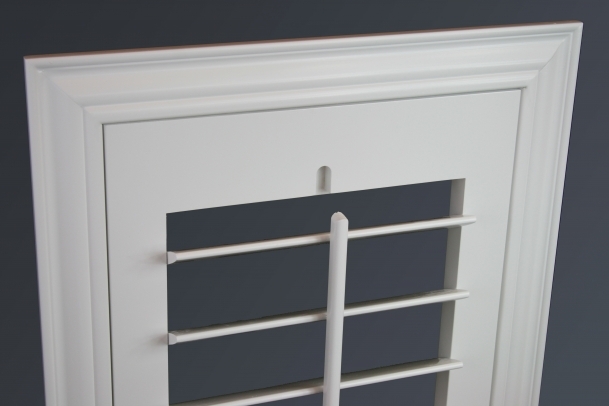 The design elements that distinguish our basswood shutters are found in the details: details like hand-sanded louvers, our unique sanding process, and our specialty multiple coat painting technique creates an exquisite furniture finish. 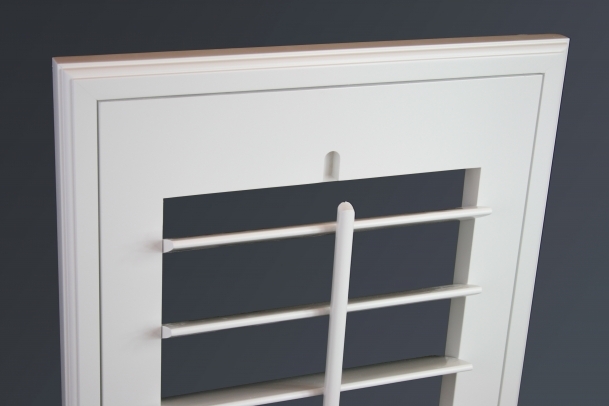 Elegant, custom and unique to your home. 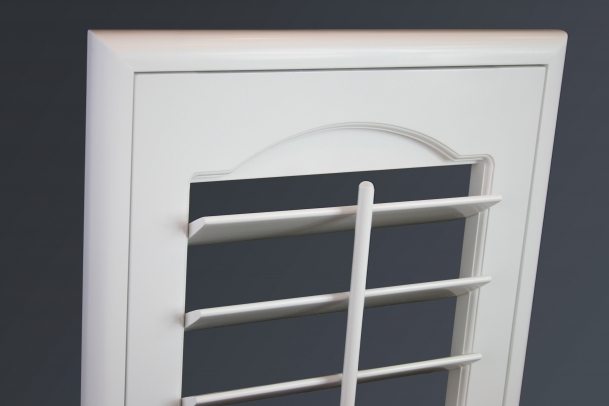 The Designer Series Shutters are the ultimate expression of your personality and lifestyle. The name describes it best. 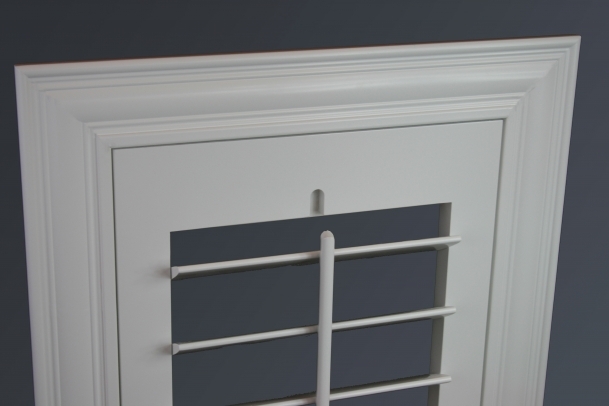 Classic seamless design with straight edge rails creates a simply elegant shutter. 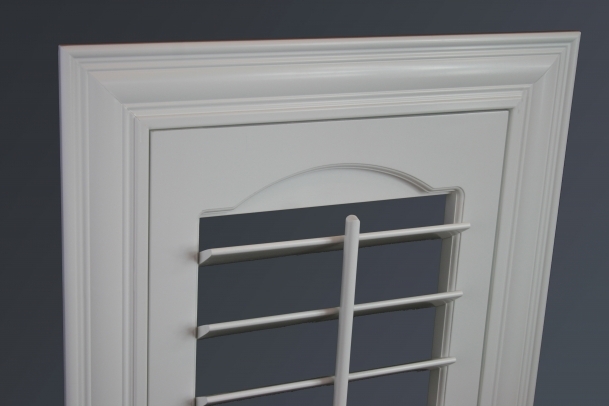 The most commonly used design with the wide moldings to direct attention to the molding. 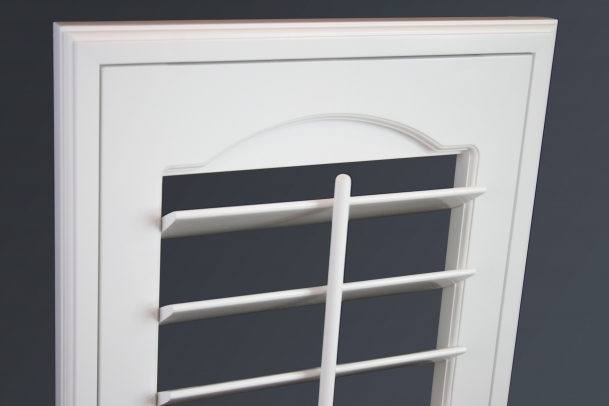 Hidden seams with a beautifully beveled interior edge surrounding the louvers enhance this simply elegant shutter. The design most used by interior designers. 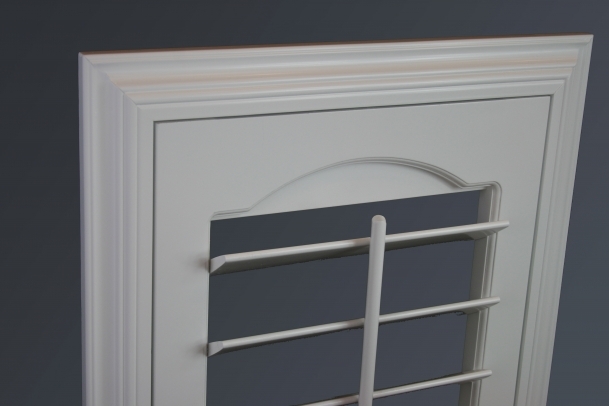 This unique design offers the same beauty as our Laguna shutter along with adding some curve appeal with the inlaid arch above the louvers. Paints and stains are both available in smooth and sandblast finishes. 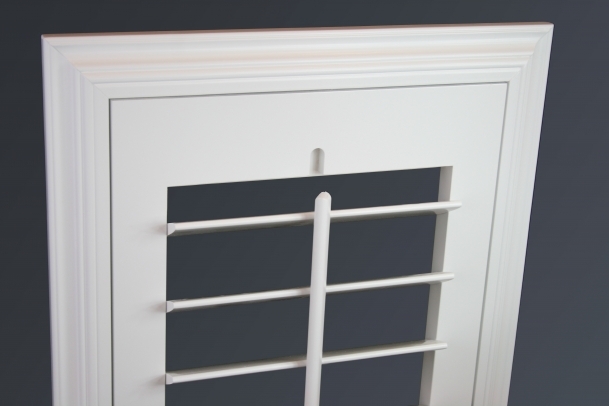 Standard framing included, decorative framing available. All specialty shapes available including, sunbursts, arches and slope tops. Sliding glass doors can be done in bi-fold and bi-pass configurations. 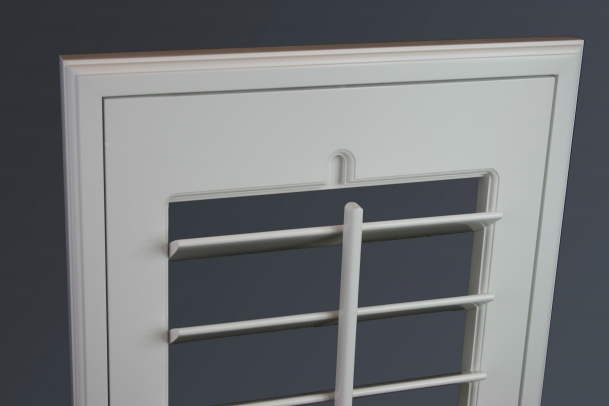 Five knuckle ecess hinges come in a choice of 6 colors. 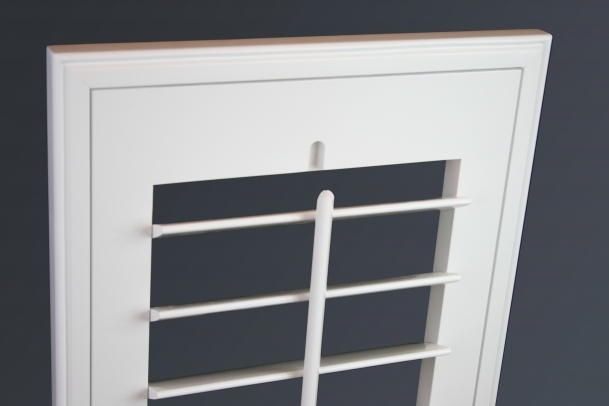 Acrylic materials provide exceptional furniture quality finish. 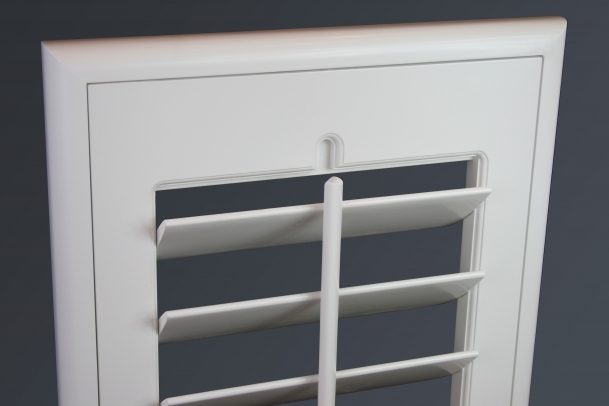 Louvers available in 2 1/2, 3 1/2, 4 1/2. 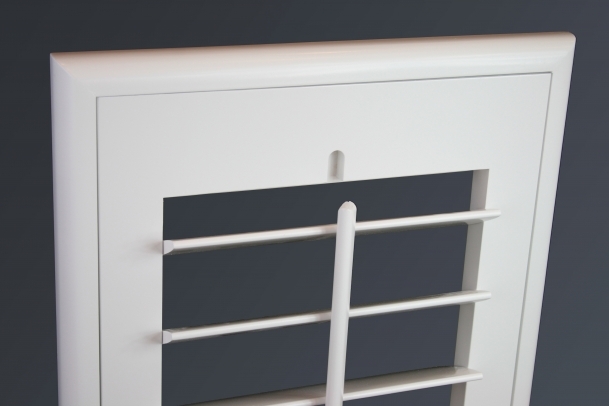 Tripel dowel joining found only in high quality furniture.